Keywords – The first thing Google looks at when indexing your website is how well the content on it matched what people are searching for. If you do not have the correct keywords for your products and services on your website then Google won’t be able to accurately match your business to people searching for your products and services. On-Page SEO – Once Google have identified your site as matching keywords they will look at the quality of the content on your website, how well written it is and whether you have structured it in the way Google likes. Inbound Links – Google use the number and quality of links into your website to help determine how important it is and therefore where it ought to rank. Getting relevant quality links into your website is therefore very important. Brand Presence – As well as your inbound link profile Google will look at your overall brand presence online, whether people are discussing your website on other websites or on social media to help decide how important your website is. Quality indicators – Google will also look at technical factors such as site speed, use of SSLs, implementation of sitemaps etc to judge whether your site meets their ‘quality’ expectations and whether it is worth sending people to. Getting your website to rank in Google will require some work on all of these areas but you can also give it an artificial boost using Google’s Adwords advertising system. 2) Advertising – Google are one of the richest companies in the world and they make most of their money through people paying to use their advertising systems. You can’t pay to get your website ranked on Google but you can pay to have your adverts appear around the edge of the Google search results (normally at the top and on the right hand side). You can also pay to use Google’s display network which allows you to show adverts on thousands of different websites. Although this advertising network is normally used to promote a website you can also use it to promote your business more generally. So, instead of getting the advert to show the address of your website you can have it show your phone number to encourage people to call you. This can be particularly useful for businesses such as 24 hour locksmith’s or emergency plumbers who can get Google to display their phone number whenever someone does a search for a plumber or locksmith in their area. 3) ‘Google My Business’ – If you do a search for plumbers or locksmiths in your local area you will normally be shown a map with business locations on it as part of the Google search results. This service used to be called Google Maps for Business, then it was known as Google Places for a while and now it is called ‘Google My Business’. It is free to setup and along with the map listing you get a Google+ page which you can use to share photos and updates about your business and you customers will also be able to leave reviews. This page can also be linked through to your website so that people can find out more information about it. 4) Other people’s websites –For some industries, such as hotels, people will use listings and review sites like Trip Advisor alongside a normal Google search. 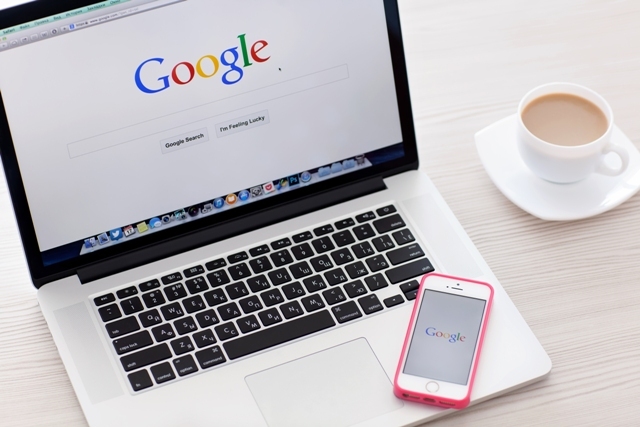 Getting yourself listed on these sites will help your business get found and, in most cases, the listing will also show up in the Google search results. Similarly getting your new business featured in your local paper, or on an industry website, will let the people who read those publications know you exists but these kind of stories and articles will also show up in Google search increasing the chances that your business will be found. A well written press release will often help with this, especially if you have an interesting story about why you started your business or an unusual business idea. The same principle works with sites like Ebay and Amazon, listing products you want to sell on their websites will allow it to show up on their websites and in Google search. As we mentioned above Google look at your overall brand presence online and the number of inbound links you have when judging how important your website is. So getting mentioned on other people’s websites is good for your website’s Google rankings as well as being a good way to get found generally. 5) Social Media – Google cannot see inside Facebook (it is what is known as a walled garden) so they can’t show your Facebook posts to people who might be interested in your business. This means that being on Facebook on it’s own isn’t enough to get you on Google. However other social networks are more open. Google owns and controls it’s own network in Google+. They also have an agreement with Twitter which allows them to see and index Twitter posts and they can show them in search results. Google also has some access to Linkedin and to Pinterest and can show your business pages from them in the search results. Having an active profile on each of these networks will increase your chances of showing up in Google Search and Google will also use this as part of judging how important your website is generally. Ideally your business will be using a mixture of all of these methods to get listed on Google. If your budget isn’t going to stretch to a website straight away then you should still take some of the other approaches. Getting your social media accounts setup and building your presence there will mean you have a ready made audience ready to go when your website is ready to launch. Likewise you should get your Google My Business listing setup and get yourself on some industry listings sites as soon as possible. This will allow your business to start getting found and for people to start leaving you reviews and comments which will help you to get more traction when your website is ready to go live. The Company Warehouse can help you to get on Google. You can download our free How to Get on Google and How to Promote your Business on Social Media guides from our website. Our Business Consultants can also supply you with the latest Google ranking factors and a copy of Google’s own beginners guide to SEO. As well as designing and building websites we can write and optimise your content, setup and manage Google My Business and Social Media accounts, run Adwords advertising campaigns and lots more. You can find our more by contacting our Business Consultants on 0800 0828 727.